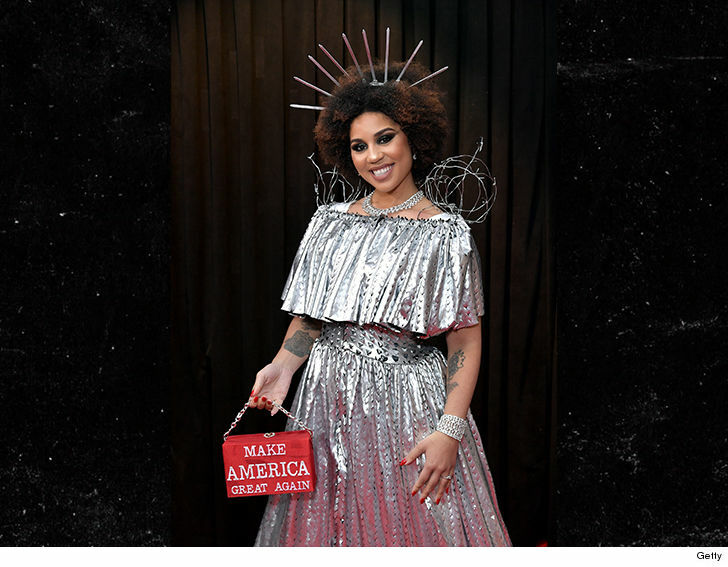 It’s Grammy season, which means we’re due for another outlandish Joy Villa outfit to grace the red carpet … this time, she’s here dressed as President Trump‘s border wall. The alt-rock singer — who’s super conservative — showed up to the Staples Center Sunday ahead of the big show wearing a silver “build the wall” gown, complete with faux barbed wire on her shoulders and a spiked crown on her head. Lady Liberty would be … proud? Joy told reporters that her ‘BTW’ ensemble was custom made by Designers Allinger of Desi Designs — and, of course, she wore it to make a political statement, per usual. If her “steel” colored dress didn’t tell you that … her MAGA handbag hits the point home. This isn’t Joy’s first rodeo with right-leaning outfits. 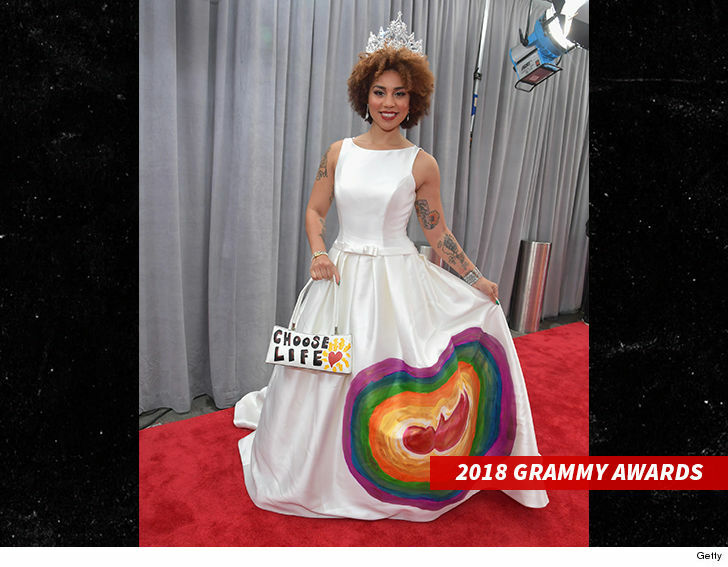 She showed up to last year’s Grammys wearing a pro-life dress, which also had an on-the-nose accessory. 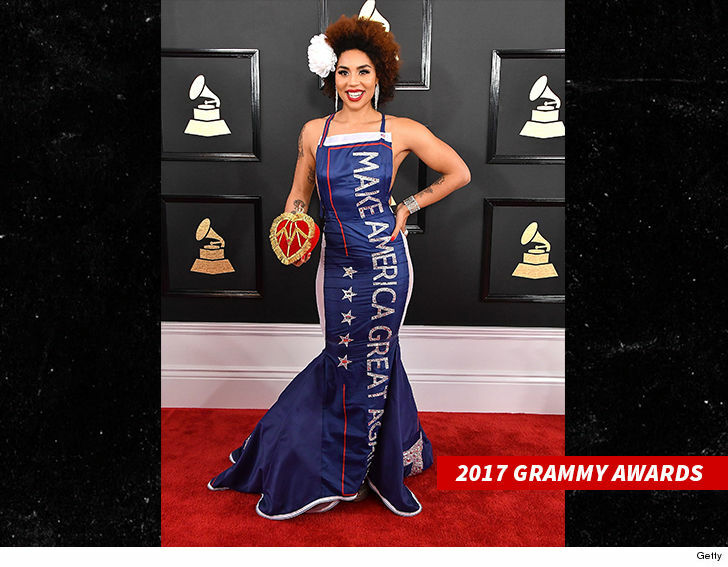 Considering Joy has been rockin’ MAGA gear to the Grammys since at least 2017, something tells us this is gonna be an ongoing thing as long as Trump’s in office. Hey, at least she’s consistent.